Open doors to New Worlds of Possibility, Life Transformation, and Self-Re-creation in the expanse of Sedona’s majestic beauty and embracing presence. YOU DESERVE IT! Stay in inviting, cozy lodgings; eat delicious, healthy food; go on rejuvenating nature hikes amidst Sedona’s awe-inspiring terrain; experience life-awakening events at the SandWorks® Studio, and dialogue with your soul in three-dimensional form in profound and revealing ways. No matter who or where you are in the scheme of life there are no limits to the creation and growth you can achieve when “the knowledge of the Soul” awakens in you. Truth takes on a whole new meaning when you become aware of the “full story of who you are”. Join us on a Life-Awakening Retreat in the magic and beauty of Sedona, AZ, and re-create your life in ways beyond imagined possibility. Customized Sand Play for the Soul Adventures and Private Retreats for Mind/Body/Soul Health, Emotional Wellbeing and Life Success are also available. We can design a retreat to suit your needs and budget. For those ready and willing to take their lives to a whole new level of success, fulfillment and fun! Future Life-Awakening Power Retreats for men and women – Dates TBA. Participate on an “adventure of a life time” catered to your special group and awaken and rejuvenate your mind, body & spirit through the knowing of the SOUL. 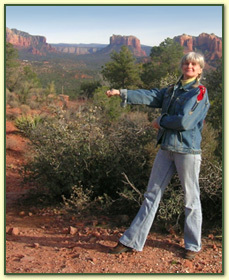 Journey to magnificent new worlds “within” of possibility and life-success in the majestic presence of Sedona’s healing lands. 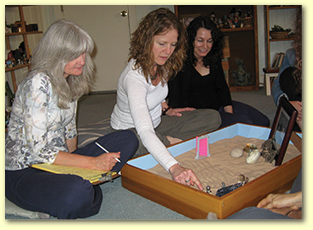 Through the ancient arts of Sand Play, Vision Quest, Soul Communication, Meditation, Yoga… and much more… you have an opportunity to dialogue with WHO YOU ARE in the “bigger picture” of your life. When the soul speaks, and you listen, doors open. Success is eminent! For a more indepth experience join us for a rejuvenating 3 DAY RETREAT. Also available are 5 DAY RETREATS designed to further awaken the Power of YOU for greater Life Success. For additional information on content, facilitators, or registration, contact us. in the Majestic Sacred Lands of Sedona! 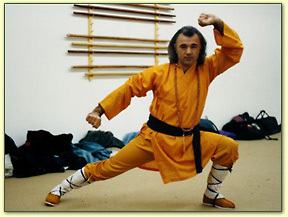 Do you remember the man called “Kane”, Shoalin Kung Fu Master & Priest from the “Kung Fu the Legend” TV show… these wise beings do exist in real life! My friend and colleague for many years, Si-Gung Paul Szasz, is an authentic, Shoalin Kung Fu Master, Priest and with Grand Master Status. This powerful, gentle soul… also a big fan of Sand Play for the Soul… has agreed to co-facilitate, a journey of soul discovery and empowerment for the mind, body and spirit. Join us on an amazing “one of a kind” opportunity. Stay tuned for further development. through Sand Play and Soul Sailing in Exotic Lagoons! SandWorks invites you to play with ocean wonders, rejuvenate in emerald waters and gorgeous beaches, and discover the expanded version of who YOU ARE in the “bigger picture” of your life. Through the power of Sand Play and the secret of Soul Knowledge doors open to New Worlds of Possibility! Check site regularly for new developments. For queries on either retreat contact us. If you have extra time to visit, inquire about extending your stay. More life-awakening events and private sessions can be arranged. Contact us for more information. 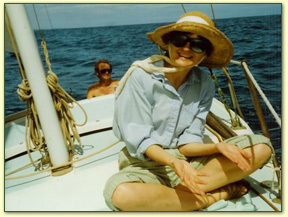 More retreats under development OR ask Paula to customize a retreat for just for you, or your group.